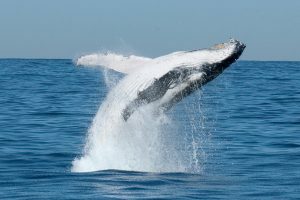 Due to rough seas the official “Launch of the Whale Watching Season and Naturefest Port Stephens have been deferred from the 1st July to 6th July. Commencing at 9am on the Nelson Bay Waterfront, followed by boarding of vessels for the first whale watching cruise of the day. To book for a Whale Watch Cruise you can contact either Imagine Cruises or Moonshadow- TQC Cruises.